"I think he'll have a good opportunity to come over here and shake things up, run his mouth a little bit and bring some notoriety. I'd like to see him in"
WWE Superstar Bobby Lashley believes that Conor McGregor would prove to be an exciting addition to the WWE. The Irish UFC star announced his retirement from mixed martial arts last month, which prompted speculation that he could make the switch to sports entertainment and follow in the footsteps of Ronda Rousey. The speculation mounted when WWE wrestler Finn Balor replied to McGregor's retirement tweet saying: "See you at (Wrestle)Mania." Although McGregor did not feature at WrestleMania, he posted a message congratulating Becky Lynch shortly after her victory in the main event match at the MetLife Stadium in New Jersey. "Congrats to Ireland's Becky Lynch, the WWE's first Champ Champ. Wow! What a match these ladies put on! Ronda Rousey is something special in that ring, as is Charlotte Flair of the Flair dynasty! Stephanie McMahon you are right, I could not do what these athletes do. 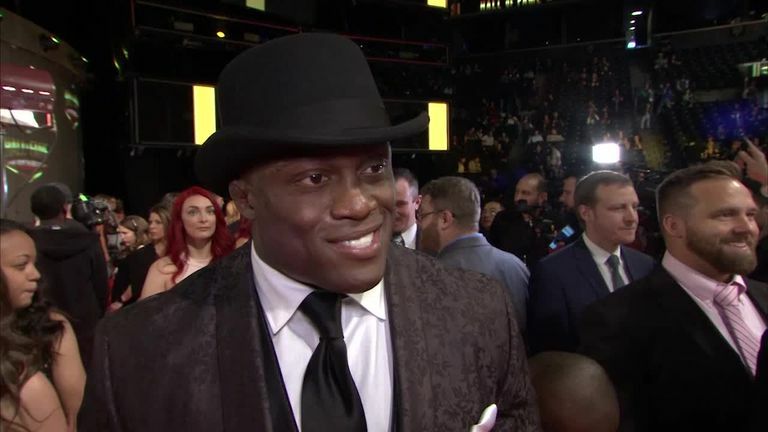 Or could I..."
Lashley, who lost his Intercontinental Championship title against Balor at WrestleMania, believes that McGregor would certainly 'shake things up' in the WWE. "Conor is one of those guys that will shoot first and then shake hands later. He did it last year when he tried to call out the wrestlers." "I think he wants to [join the WWE], he's been talking a lot," said Lashley. "Conor is one of those guys that will shoot first and then shake hands later. He did it last year when he tried to call out the wrestlers. "I think he'll have a good opportunity to come over here and shake things up, run his mouth a little bit and bring some notoriety. I'd like to see him in. It would be cool." However, 'The All Mighty' also provided a word of warning for McGregor. "I think he wants to be here. If he wants to be here he might have to try and find a role. We're not going to put a big title on him, he's way too small." Watch Lashley's full interview in the video at the top of this page. Bellator star channels his inner Stone Cold!